You are here : Home / Posts Tagged "Materplat"
Next November 14 the General Assembly of Materplat 2018 will take place in the facilities of the Institute of Ceramics and Glass of the CSIC (ICV-CSIC), on the campus of the Autonomous University of Madrid (Cantoblanco, Madrid). This year, the theme of the Assembly will be focused on how innovation in materials that can be useful in different fields related to smart cities. In this sense, different speakers will show developments in materials very important for sectors such as health, among others. NANBIOSIS will be present through José Becerra, Professor of Cell Biology at the University of Málaga, Scientific Director of the U28 of NANBIOSIS who will talk about the Customization of Implants and their biological function. 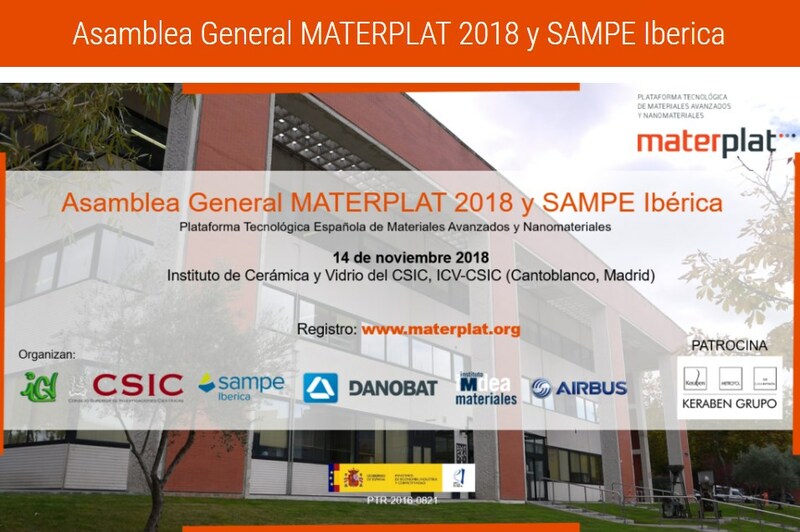 The main novelty of this year is that the Assembly of MATERPLAT will be a joint day with SAMPE Iberica, the Society for the Advancement of Materials and Process Engineering. This section of the Assembly will feature already confirmed presentations by Fokker / GKN and ARIANE Group. MATERPLAT, Technological Platform of Advanced Materials and Nanomaterials, premieres Youtube channel with a video in which it discloses the activities of the platform and how they try to help to promote the creation of a national ecosystem in the field of advanced materials and nanomaterials . The video is also about one of the last major milestones of the platform: the elaboration of the Spanish Technological Strategy of Advanced Materials and Nanomaterials, in which NANBIOSIS has participated through its Coordinator, Jesus Izco, who leads the Materplat health innovation group. MATERPLAT, the Spanish Technological Platform of Advanced Materials and Nanomaterials, emerged in 2008 as framework for meetings and collaborations between the different agents of the National Enterprise, Science and Technology System interested in promoting the research, development and application of advanced materials and nanomaterials. On February 3, 2017 the leaders of the MATERPLAT Innovation Groups met to define the lines of action of the working groups during the year 2017. These groups are transportation, health, energy, raw materials, and cities Intelligent. They were present, following the order of the photograph: Back row, from left to right: Luis Guaita (KERABEN), José Manuel Puente (ARCELORMITTAL), Marta Serrano (CIEMAT), Eduardo Troche (IMDEA MATERIALS), José Manuel Baena (REGEMAT3D), Rafael Domínguez (AIRBUS). Front row, from left to right: Emilio Nieto (CEINNMAT), Nerea Anacabe (TECNALIA), Jesus Izco (NANBIOSIS-CIBERBBN), Miguel Angel Rodiel (IMDEA MATERIALS), Jose Sánchez (AIRBUS), Carlos Mendoza (AIRBUS) and Alfonso Grande (REPSOL) (AIRBUS, REPSOL, AIMPLAS, KERABEN, CEINNMAT, ITC, CIEMAT, ARCELORMITTAL, CIBER-BBN, REGEMAT3D, TECNALIA and IMDEA MATERIALS). 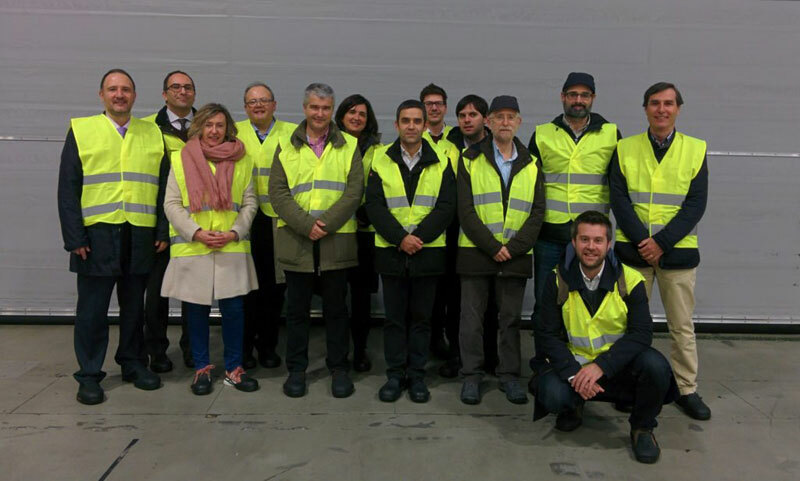 The meeting took place in Getafe (Madrid) in the seat of AIRBUS, entity that holds the presidency of MATERPLAT. In the meeting the participants agreed as the main action of the Innovation Groups, the preparation of a document entitled “Technological Strategy of Advanced Materials and Nanomaterials – MATERPLAT”, which serves as a reference in the coming years to identify priorities and opportunities for R & D + i in the field of advanced materials and nanomaterials.